The Gwynt Y Môr offshore wind farm project is carried out in two phases. Phase one comprises 92 unique MP’s and one TP with a capacity of 576MW placed at a depth of 12-28m and with an option to build out 174MW later. 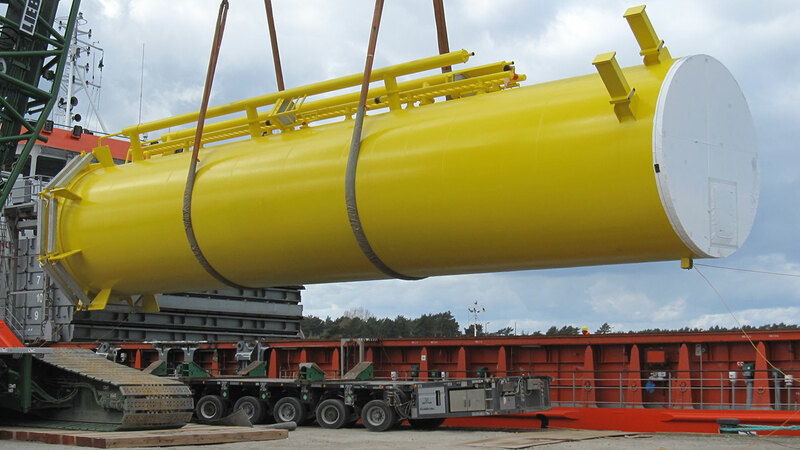 The large tidal variation of 9 m is a special condition which challenges the project performance. The detailed foundation design includes primary steel design of the first 92 foundations includes grouted connection, scour protection and corrosion protection. The second steel design includes external access, internal access, platforms and details. Installation of the first stage of the Gwynt Y Môr Offshore Wind Farm commenced in September 2011. Subsequently BBB Umwelttechnik GmBH, since 2016 Ramboll, has executed a full Technical Due Diligence on behalf of Stadtwerke München GmbH, including review of permits, micro-siting, foundation and electrical designs, project agreements (TSA, SAA, TCMA, EPC, SPA draft ), CAPEX and OPEX assumptions and has prepared a bankable energy yield assessment. Within the successful transaction Ramboll had the technical lead in the final negotiation of above-mentioned project agreements.